Silent magician Teller wants a rival to stop using "Shadows." Performed by Teller, the smaller, quieter half of the magical duo Penn and Teller, the "Shadows" illusion [which is playing below for the benefit of those of you who haven't seen it] is pretty impressive stuff. Teller uses a knife to cut stems and petals off the shadow of a rose projected onto a screen; as he does, pieces of the "real" flower fall to the floor. In the clip, his partner Penn declares that nobody knows how the trick is done and nobody will ever figure it out, but as it turns out, someone did. Dutch magician Gerard Bakardy saw Teller perform the trick in Vegas and developed his own version, and then, in what I believe is a pretty clear violation of the Magicians' Code, began selling an instructional kit, complete with fake rose and performance DVD, for $3000. That's right, three grand to spoil the magic of an illusion. 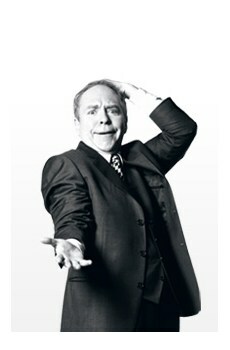 Teller, predictably, was none too happy, and after using a DMCA takedown notice to force the removal of a promotional video, he contacted Bakarady and demanded that he stop using the trick. Teller even offered to buy Bakardy out, but they couldn't settle on a price. So now they're going to court. The big, obvious question is whether or not it's possible to copyright a magic trick. The most obvious answer is no; magicians have been performing each other's tricks for years, after all, and I've never heard of anyone needing a license to stuff a woman into a box and then saw her in half. But if Teller's description of "Shadows" as a "dramatic work" holds water with the courts, the situation changes somewhat. New York Law School Professor James Grimmelmann told Ars Technica that copyright law protects pantomimes and "choreographed works," so Teller's case could very well come down to how closely Bakardy's performance matches his own. Even so, Grimmelmann said, "Teller has an uphill fight on his hands."